Glad to break the losing run with a decent profit this week. Once again the fluctuations were large over the 7 day period, at one stage sitting on -$45,000 and at another on just a $20,000 loss for the year. The big news this week was the introduction of mandatory limits on NSW racing. I have set up a live blog and will update it daily until all bookmakers have realised that their stupid loopholes won’t work. I’ll first start with the usual moan. One big issue I had this week was with the PCG (Pro computer gambler) service. Tom advised some bets on college football. These were big bets too, 2 units on three separate games. Now only 1 bookmaker had the lines up for this game and the max bet they take is to win $250. 2 units for me means $1,000 on these picks. By the time I woke up these lines has moved from -8,-9 and -4 to -13, -19 and -9.5. These are massive moves and not unexpected if there is only 1 bookmaker offering the lines with a $250 limit. The same issue happened when I tried to follow college bets with Sportpunter, the lines move quickly and unless you could get on first, then it was a pointless exercise. I emailed Tom asking if he still thought I should bet as the lines had blown out. He replied with “In my opinion, the books shouldn’t even offer betting on these games. I don’t think the line matters that much.”. So I decided to bet them. You can already guess what happened. One game won, one game lost and one game won for the service while losing for me. So while the official return will state close to 2 units profit, the reality for most people is a 2 unit loss. A 4 unit turnaround. These games should not be sent out as official plays, when only 1 person can get a tiny amount on it, it just isn’t fair. It leaves me seriously questioning whether to continue with the service. I have been told the NFL is where most of the profits will come from, so will see where it takes me this season. Continuing onto ClubGOWI and rebounding odds. Sadly for a lot of bets this week, if you don’t bet the second the emails come out then you wont be getting on. 5 of the 7 Soccer bets posted on the weekend never came back and were therefore no bets for me. Luckily 3 of the 5 lost and didn’t cost me. My thinking on the issue is the ones that don’t rebound are more likely to win, but hopefully this isn’t true. At the end of this year I should have more then enough data to see if this is the case. We had a similar case with Owltips bets, where the odds were pushed down within seconds and never came back. I managed to get on the one losing bet and missed the two winners. This also got me thinking (a very dangerous act). It’s clear that some of the followers of these services have no idea about value. They will take whatever odds are available and keep pushing the price further down. Now Owltips long term profit shows an 8% return to best prices. My thinking was that the other side then becomes value when it’s odds increase by more then 8%. The other teams odds improve 10-20% after these emails are released and maybe by blind backing them I would make a profit. I asked Jonno from Sportspunter if this was the case and using our friend maths showed that the odds would need to increase by over 30% to make it profitable. Maybe one for the maths guys who read this blog. Your thoughts and equations in the comments section please. Onto the weeks results and the AFL made a very welcome return to profit this week. It was the final round and I’m sure many people would have decided to not bet this round as most teams had no reason to play hard. It’s always interesting to talk about motivation in these type of games. Jonno made recommendations on what not to bet on and I followed his advice on the Hawthorn game, which cost me $2,000 profit. I decided that as it was a player based model, the probabilities should be a good indication as these guys are professionals and both sides should play to their full capacity no matter what. I bet all the other games but did bet less on the West Coast game which cost me a further $3,000 profit. Still very happy with the weekends return of $11,000. Boy am I glad I stopped following the Tennis model, I decided to track the results of the US Open and would be down $10,000. That feels like money made to me. The baseball totals model has made a massive comeback and added a further $3,800 profit this week. NRL lost $700 but that could have been so different with Manly running in a try with 15 seconds left to take away a massive win. Sportpunter ends its poor run and hopefully this is the start of great things again. ClubGOWI made $1,200, but that is based on only the bets I could get matched. Diamond Edge has been on a horrendous run the past 2 weeks, losing a further $2,300 this week. PCG had a nightmare week with a $5,500 loss. Both Golf tipsters lost $600 combined and in the Soccer, Owltips lost $100, Fb Elite lost $500 and Football Value lost $2,000. Still treading water for year 5 and hoping for a good run to get me back into profit. This week should be entertaining as a number of Soccer tipsters will be sending their first bets. Will you be using the Sportpunter NFL service this season Steve? Not sure yet, will need to look at past results. From memory each season starts well but ends badly. I appreciate it’s annoying when you can’t place the bets at the advised odds or spread but to suggest PCG stops sending out some official selections because you couldn’t place them is a bit, well, self absorbed! Do you follow the service? Did you manage to get your full stakes on? I assume anyone betting more then $100 a unit would have had issues with these bets. I see no reason to send these as an unofficial bet (knowing that only 1 or 2 people could get the odds). I have banged on about it for years, it’s easy to show a massive profit betting into very niche markets, but if you are going to run a professional service then your customers should come first. There have been great strides in recent years thanks to Skeeve, TFA, FB Investor and so on. The larger issue was being told to take any line I could get. But that’s my own mistake and I’ve paid for that. Lesson learnt. I have found time and time again that any concerns I have with a service are echoed by many others, the only difference is I have a platform to spread it. I have also received a number of emails recently querying the results of PCG email service compared to the results on Picksmonitor. Hey Ben, Cheers, I don’t even agree with myself at times. That’s why this discussion area is so good. We are all students and I’m forever making mistakes and need to learn as well. Firstly I don’t think the service is bad in anyway, I think my location is a big factor in matching the odds and explained that. When I have been up at 1am and the emails have come out, I can match the odds. So I have no issue with the odds or the results. I also believe Tom is a good guy and knows what he is doing. I think it is a profitable service. I had an issue with those specific bets and I think for good reason. That bet was only available at 5dimes, and then Betcris and I think B365 may have added it closer to kickoff. If you got the same lines and odds for those 3 games then the issue might only be mine. Yep, that’s what I’ll be doing. Any bets that move more then a point I will be leaving alone from now. Thanks for the comments, good to have people state their opinion when it contradicts with mine. Somehow the College bets ended up in my junk folder and I never saw them! 2 points does seem a lot though, given the circumstances. Also find the Canadian Football prices disappear very fast. haha, mark those emails as important. Yep, much higher stakes then almost all other bets this season. I usually have to take at least 1 point worse lines on CFL. How long have you followed PCG for. What time zone are you in.What bookies do you use and do you have any records you would like to share? I have been looking at joining for a while but am kind of waiting to see an sbc review as i have no faith in us monitoring and cant get hold of detailed results from pcg. AND Steves results although relevant to me a little I should be able to improve on. I also agree with you, it was just impossible to take them so send them as official 2 units bets doesn’t make any sense. 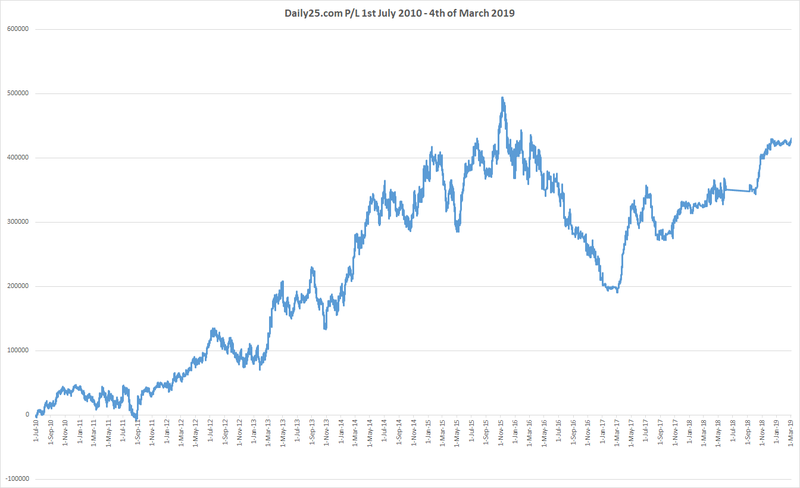 Hi, I joined PCG in June last year and am just over 50 units up – I also missed quite a good period for Tom while I was away in April and he’s also lost 13 units the past three months so I was a lot higher! I am part of the proofing team for Owltips and can assure you the service is the reason behind the odds movements, I watch this situation getting worse and worse over the last 2 seasons. Not that the tipster is guilty in anyway of course, he tries everything to ease the odds availability, like making the service more difficult to be exploited by resellers for example. I don’t suppose you are Mariano who runs a website about South American football? If you mean Argentine football…yep, that’s me. Nice. I found your site through a site related to GOWI and really liked the look of your write ups. Shame I know nothing about Argentinian football! Thanks, unfortunately I’ve been too busy to update it lately but still running the service behind it. PS: sorry Steve for the offtopic. Yes, it is not the tipsters fault, but the odds recording should be the same as other professionals in the field. He should be recording to odds 15 minutes after release at least. I am in a poor location in regards to getting the emails after everyone else. So when I try to bet the prices crash before I can get on. 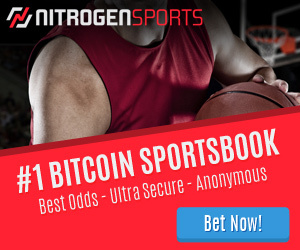 The fact it is also a niche league means that only a few can get on for the quoted odds, and as mentioned above, some users seem not to understand value and will bet at any odds. Absolutely agree here, Steve, all tipsters should record odds with fair delay and nobody, sports or racing tipster, should be allowed to use odds from clown books like Boyle, Marathon, Betvictor. Yep, if this was the case though, I think worldwide there would be about 5 profitable tipsters. yeah with 1.95 sides, you need about a 15% change in odds min. for the other side to be profitable. Previous story Racing NSW September 1 live blog.